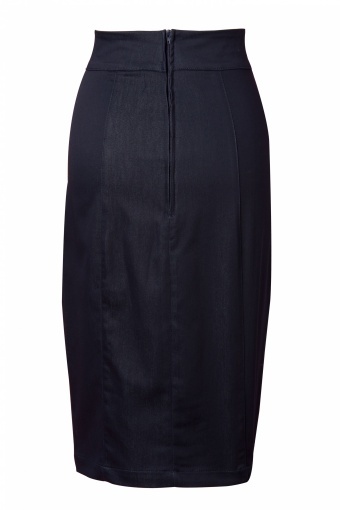 The Stretch Denim Skirt Indigo from Rock Steady Clothing. 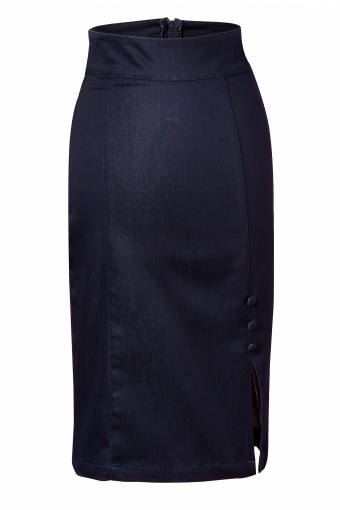 Beautiful high waisted pencil skirt in supple indigo denim. Party or pleasure: this skirt is a must-have voor every vintage vixen! Made of a light and soft stretchy denim fabric that will hug your curves! Small slit at the front with 3 fabric buttons. The combinations are endless! The model wears a top which we discontinued due to a production failure.